We weren't holding out much hope in seeing a 5G iPhone before 2021, due to Apple's ongoing legal battles with Qualcomm, which makes tech for iPhones as well as 5G modems, but a surprising turn of events means we might see the 'iPhone 5G' in 2020 after all. Apple and Qualcomm were suing each other for various reasons, including Apple accusing Qualcomm of overcharging for parts and Qualcomm suing for breach of contract, and under that legal dispute Qualcomm couldn't make 5G modems for future iPhones. What are we expecting to see in the iPhone 11? Is the iPhone 8 Plus your safest choice of an iPhone? Because of that, Apple was forced to look elsewhere for 5G modems for its iPhones – Huawei volunteered to sell Apple the modems, but it looked like Apple was relying on Intel. The situation was looking shaky with Intel though, as reports suggested the manufacturer had missed deadlines and wouldn't be ready to mass-produce 5G modems for 2020 iPhones – because of this we weren't expecting to see 5G iPhones until 2021, years behind Apple's competitors. However Apple and Qualcomm just agreed to drop charges – so Qualcomm could make 5G chipsets for future iPhones after all. This is great news for people who were hoping to see a 5G iPhone soon, as the manufacturer already has a range of 5G modems that could easily be rolled out. Intel has since dropped out of the 5G modem market, according to a post in its newsroom, stating it will focus its efforts on network infrastructure instead. 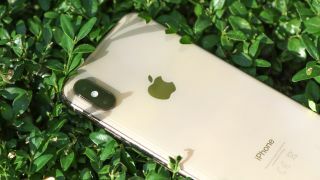 We're not expecting to see the iPhone 11 later this year with 5G, as that would be too quick a turnaround for 5G modems, and it's likely Apple has already settled on a final design for the phone, but stay tuned to TechRadar to find out what is in the upcoming Apple iPhones.